A large concert is planned and you want to use the opportunity to create large-scale awareness for your product or company. So called strewing items of the promotional product industry are an ideal possibility, as they are always well perceived and can reach a large audience with low effort. Especially concerts are a great chance to equip promotional items and giveaways with your company logo and create effective advertising for your company. They can be easily distributed and will remember the audience of the event for a long time. At the same time, you cover a diverse range of potential future customers. allbranded offers you a broad range of convert giveaways. 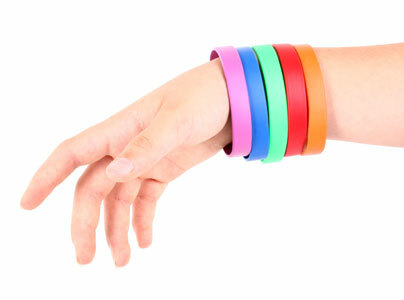 At concerts, festivals and other musical events, the popular bracelets care of allbranded stir. Print the cheap aways with your logo and select your favorite color in our online shop. It can be so easy to increase the awareness level of your company. You can reach a large audience with small promotional gifts that can be decorated with your company logo or name. It is important to achieve this with little effort and manageable costs. Distribute giveaways like sweets, key chains and other small items at large events in order to raise awareness for your company. Usually, items are used at fairs and small conferences and congresses. The small giveaways can also be distributed at leisure events like concerts and public viewings. The great thing is that your company name or logo reaches a broad audience. This will result in diverse feedback to your advertising campaign and helps to design future promotional means even more effectively. You can optimise the image of your company and determine the purchase incentive for your customer. 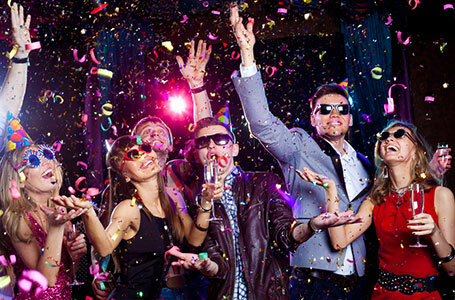 It is practical that you can distribute your concert giveaways in combination with confetti or sparklers. You decide which promotional products and free giveaways you use. We at allbranded recommend to present yourself in innovative and creative ways at large events. Anyone can give out printed matchboxes – so how about distinguishing yourself from the crowd? For example, with nice, high quality and colourful wristbands that match the atmosphere of the concert. Or appealing badges that remind of the concert as well as your company? Do not underestimate the effect of even the smallest advertising space in combination with creative items! The usage of the small items should go beyond the events and concert. 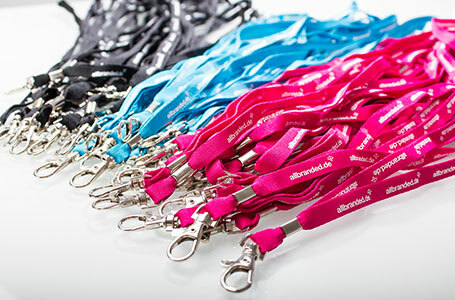 Always think further and select promotional items that will also be used after the event. For example, individualised lighters to not only equip the visitor for a ballade, but they will also be carried around in their bags afterwards. These are practical companions that constantly bring your company back to the mind if your potential customer. Moreover, the recipient will also confront her social environment with the company logo through the daily usage of the product. This results in a high outreach for little effort. Especially for that reason, you should pay attention to the quality of your small products. They should be stable and stay in shape at events like concerts. If your logo is printed on a giveaway, its quality is automatically associated with the quality of your company. The better the items fits to the daily life of the customer, the higher the appreciation for your company. The online shop of allbranded has everything your advertising heart may desire. We offer many classic or original promotional items that allow you to stand out of the crowd at events and reach a broad audience. We do not only offer key chains, lighters and buttons for concerts, but also the chance to customise furniture and advertising technology that will optimally represent you at your fair or concert stand. The first impression is everything, and you want to pass it with distinction. Our exceptional selection of small merchandise items offers you the possibility to find the right promotional products – always with a high quality and for a fair price. Go online today and get inspired by our diverse selection of promotional and small items. We will gladly assist you with any questions!